At 1231, the Beverly Fire Department received a fire alarm transmission from 40-55 Folly Pond Rd. Engine�s 5,1 and 3 were dispatched with Car 2. While enroute to the scene, Beverly Police reported receiving a call stating there was fire coming from a window at 50 Folly Pond Rd. Upon arrival, Engine 5 and Deputy Chief Peter O�Connor found heavy fire coming from a second floor window extending to a soffit directly above. Due to the volume of fire and the nature of the structure, a second alarm assignment was immediately requested. The crew of Engine 5 advanced a hoseline into apartment 21 where they encounter high heat, smoke and fire conditions and firefighters A.J. Petronzio and Joseph Tucker initiated a fire attack. As additional companies arrived at the scene, fire crews advanced a second line into the building and checked all other apartments for occupants. Beverly Police Officers assisted by evacuating people from 55 Folly Pond Rd. Crews were able to stop the fire confining it to a bedroom in Apartment 21 and some minor extension to the apartment 31 directly above. By 1300 the heavy fire was knocked down and at 1446 the last of the initial companies was clear of the scene. There were no injuries as a result of the fire. Fire Investigators Captain Jeff Sirois, Lieutenant Eric Fowler and Firefighter Mark Brewer investigated the fire and determined the cause to be combustible materials allowed to be in close contact to electric baseboard heaters. The materials were in direct contact with the heater and reached their ignition temperature starting the fire. All of the occupants from the 12 units in 50 Folly pond Rd were displaced and property managers and the American Red Cross were assisting them with housing. Fire crews from Beverly, Danvers, Salem, Hamilton, Wenham worked at the scene while crews from Manchester, Middleton and Swampscott covered the stations. Northeast Regional Ambulance responded to the scene and Roger Baker and a crew of Volunteers also responded to provide firefighters with water and assistance. Open Burning Season is once again here. If you live in an area of the city where open burning is allowed, call the Beverly Fire Department at 978-922-2424 after 9 am to request a permit. The permit will be issued over the phone if weather conditions allow and the location is not on a restricted street. Due to the dense conditions of some neighborhoods, open burning is not allowed as it would be a fire hazard. An example of this would be a down town street with densely packed houses. Firefighter Brian Tamilio, Chief Pierce and the rest of the Beverly Fire Department would like to extend thanks to all of those that donated to the Helmets for Haiti drive on Saturday, January 16. In total, the Department collected $8,100 to give to the American Red Cross for Haiti relief. While watching the news, one firefighter felt compelled to do what he could to make a difference. Firefighter Brian Tamilio was watching the evening news in the station and saw an opportunity to get involved with the American Red Cross and get some much needed help to the people in the devastated country. 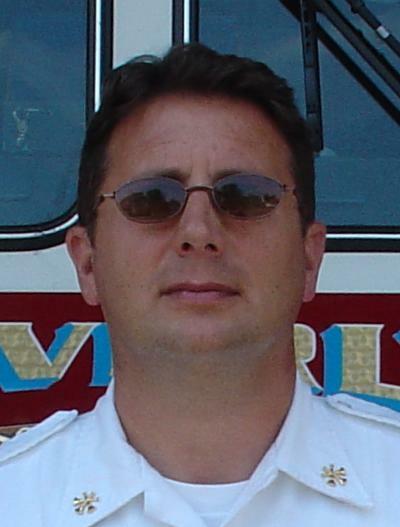 Within minutes, Tamilio was on the phone with fellow firefighters and representatives of the American Red Cross. Over the following hours, Tamilio secured donated signs from Staples and family members and volunteers to collect money in the Gloucester Crossing and North Beverly intersections. The following morning, off duty firefighters, friends and family members stood by the intersections between 9 am and 3 pm collecting for the cause. At the end of the day, the group had collected two large buckets full of cash that will be counted and turned over to the American Red Cross. �People were really fantastic,� said Tamilio �we had a couple people give us hundreds of dollars during our self titled Helmets for Haiti collection�. Plans for a second collection are currently under way. At 1007, the Beverly Fire Department was dispatched for a report of a motor vehicle rollover near 218 Hart St. Upon arrival, Lt. Donald O�Connor and his crew on Engine 3 found an 18 wheel dump truck on its side off the roadway. The operator of the vehicle was still inside the cab and between 30 and 60 gallons of diesel fuel had been released from the vehicles fuel tank. Firefighters from Engine 3 entered the cab to assess the driver and assisted him out the windshield of the truck. He was transported to Beverly Hospital by Northeast Regional Ambulance but did not appear to suffer any serious injuries. When the driver was out of the vehicle, firefighters spread speedi dry in an effort to corral leaked fuel and prevent it from contaminating more of the area. Representatives from the Department of Environmental Protection and the State Police Truck Team responded to the scene. Additional firefighters from Engine 5 also responded to the scene to assist. Engine 3 stood by the scene until 1220 while the vehicle was righted and removed by Coady Towing. The truck was owned by Bentley Warren.